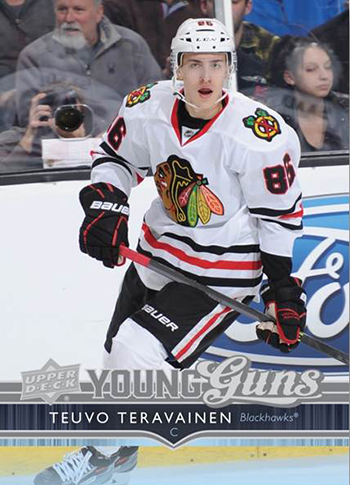 Brag Photo: First Look at 2014-15 NHL® Upper Deck Series One Young Guns! 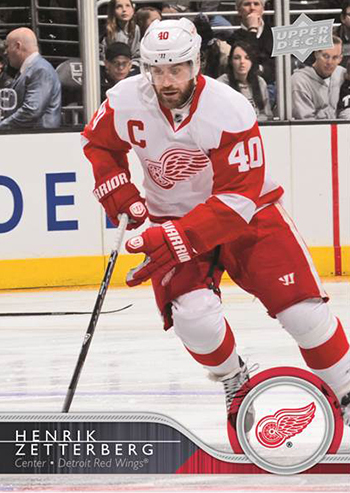 When 2014-15 NHL® Upper Deck Series One hits shelves in early November, it will mark the 25th consecutive release of this fan favorite set. Collectors have widely hailed Upper Deck’s Young Guns cards as the most collectible rookie cards in the market and with their long history and always stunning photography, it is easy to see why. 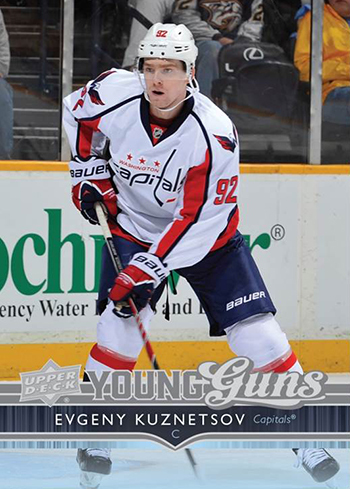 More importantly we are excited to share some first images of the Young Guns cards that can be found in the product. Dozens of highly sought after draft picks and prospects will be added to the set as they skate in official NHL games this fall. Stay tuned for more details on this highly anticipated release! Teravainen is going to be in hot demand. The guys a stud! A suggestion. Please go with an alphabetical team checklist. It’s annoying when it’s done with divisions. I love the Young Guns design – the font used for “Guns” has an old west look to it. Not sure about the base cards – the design looks more like an OPC product than something that would be used for the flagship Upper Deck product.